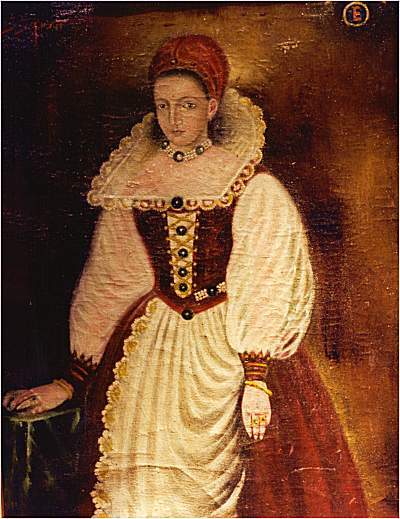 The original portrait of the Countess from 1585 is lost (spirited away in the 1990s). However, this is a fairly contemporary copy of that original, probably painted in the late 16th century. She was 25 when the original portrait -- the only known image of her -- was painted.